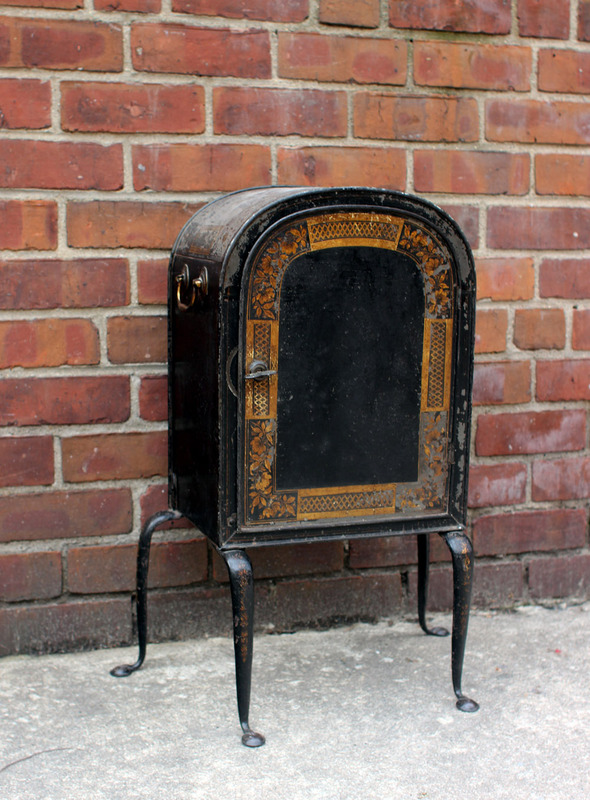 A lovely tabletop or hearth front paint decorated piece, this Georgian Japanned tin plate warmer with excellent original chinoiserie decoration, cabriole legs with penny feet and original brass handles, was originally set with its back to a fireplace to warm plates, circa 1820, England. Excellent patina with appropriate wear to paint. Rare form.